This page has been visited 177806 times! 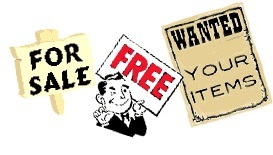 New items, price reductions! Check them out! 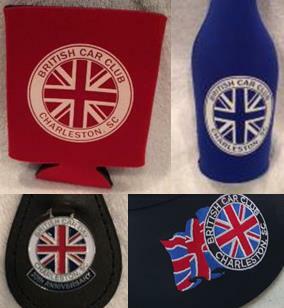 © 2019 British Car Club of Charleston. All Rights Reserved. Do you have a good idea for an event for the club, submit it with this form. NEW! In the Members Only Page you can see all the recipes that Lynn Rosato has put in The Windscreen. 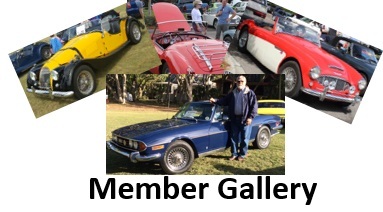 Cars on Kiawah, May 4th, 2019 It's going to fill up soon, so register NOW. 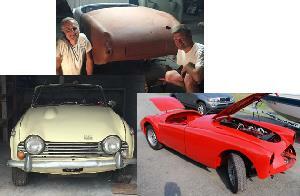 Cars that are being restored and that have been restored by our members. Check out the updates from Tony Girlardo and Lowell Wakker! The planning of British Car Day for 2019 has begun. Help us get sponsors! Check here for the status. You can now order Lands End merchandise with the BCCC logo directly from their website at this link.